Forged over twenty years, we have the relationships with local suppliers and distributors to bring you the highest quality products at the best price. Our commitment to you, our Central Florida neighbor, is what makes TSL the company to call. What if an irrigation and lighting company could help save the planet? We're doing all we can to accomplish that with initiatives that prompt real change. Total Sprinkler & Lighting is a small local business that takes pride in workmanship and our community. It is our goal to provide the best service at the best price, and with a quality of work that builds a strong reputation. Spend time outdoors in an area you love. We can provide the components to backyard bliss and bring your ideas to life. Life is short. Spend it in beauty. Select below to learn about our services. From repairs to routine maintenance we have you covered. Twenty years of experience on systems both large and small means we can handle any repair necessary. The advantages are two-fold: Make a bold statement while improving security at the same time. Our expertise covers new system installation and system renovation. Need a little breathing room? 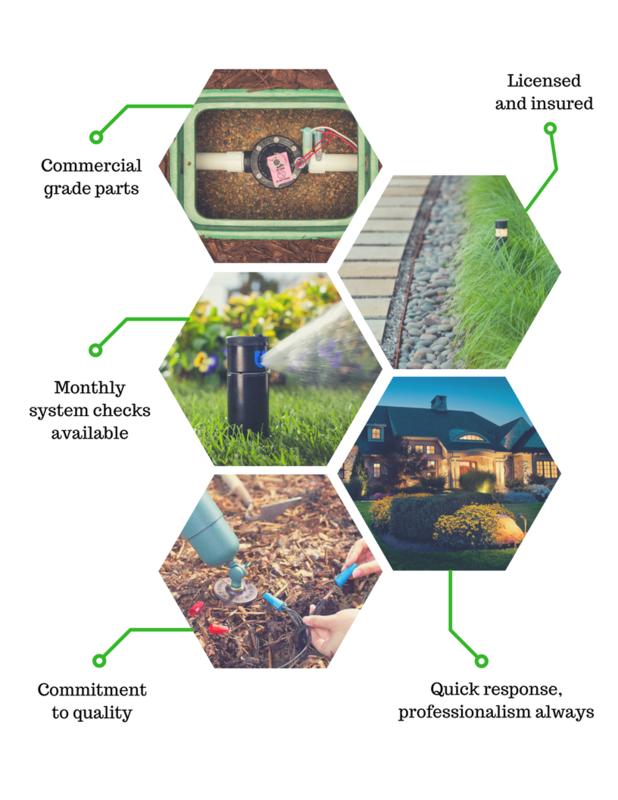 We provide repairs and routine maintenance on all irrigation and landscape lighting systems. Take the worry out of yours. Our blog is dedicated to our clients. Stay in the know. We appreciate your feedback. Click to leave a Google review. Proud members of 1% For The Planet. Fun posts and first dibs on sales and specials. It would be our pleasure to work with you and answer your questions. Use that blue button to give us a call.